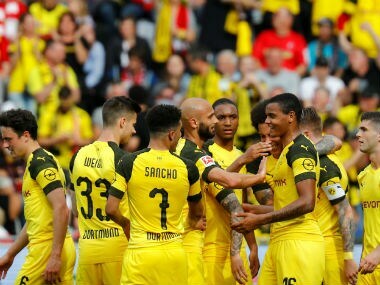 Berlin: Borussia Dortmund were left reeling on Tuesday after a breathtaking goal from Jean Zimmer saw them lose 2-1 to relegation candidates Fortuna Duesseldorf in a sensational first league defeat of the season. The defeat saw Dortmund's lead at the top of the table shrink to six points after Thorgan Hazard inspired Borussia Moenchengladbach to a 2-0 win against Nuremberg earlier in the day. Gladbach have the chance to narrow the gap to just three points when they travel to Dortmund this Friday. 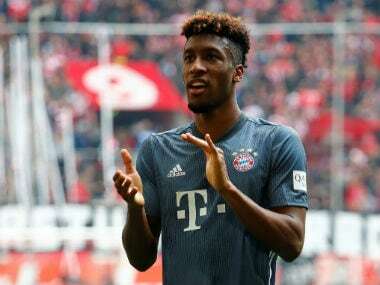 Marco Reus had an early goal ruled out for offside but Dortmund were sent into shock when Dodi Lukebakio gave Duesseldorf the lead on 22 minutes. The Belgian striker broke free of the back line to latch onto Kevin Stoeger's through ball and place the ball into the bottom corner. "We weren't hungry enough for the win today, and we deserved to lose," Reus told Sky. "It's been harder of late because teams have been sitting deeper against us. We were already running into a brick wall when it was 0-0, and it was even more like that at 2-0 down." Coach Lucien Favre attempted to force the issue by bringing on Jadon Sancho and Paco Alcacer in the second half, but Alcacer's 81st-minute header was too little too late for Dortmund. After surviving an early scare at one end, Gladbach wasted two superb chances at the other shortly before half-time. On 39 minutes, Hazard's cross picked out Denis Zakaria a few metres in front of goal, only for the Swiss to fire his header straight at Tim Leibold on the line. Hazard himself was left blushing moments later, after Gladbach were awarded a penalty for a foul on Florian Neuhaus. The Belgian attempted to chip his spot-kick down the middle and watched on aghast as it floated over the bar. His redemption came immediately after the break, as Gladbach counter-attacked and Hazard slotted in Ibrahima Traore's low cross at the far post. "We are looking forward to the game in Dortmund," said Gladbach goalkeeper Yann Sommer. "First against second, a game in a great stadium against a very good team, and we can end the year on a positive note." 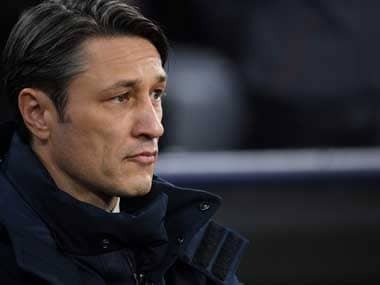 Elsewhere, Wolfsburg's good run of form continued with a 2-0 win at home to Stuttgart, while Augsburg held Hertha Berlin to a 2-2 draw in the capital. Martin Hinteregger's powerful header gave Augsburg an early lead, but the Austrian was at fault for Hertha’s equaliser. Davie Selke beat the Augsburg defender in the air before setting up scorer Mathew Leckie. Minutes later, the Berliners had turned the game on its head as Ondrej Duda fired them in front.